Drug Agents Using Vast AT&T Database of Phone Records. For at least six years, federal drug and other agents have had near-immediate access to billions of phone call records dating back decades in a collaboration with AT&T that officials have taken pains to keep secret, newly released documents show. The program, previously reported by ABC News and The New York Times, is called the Hemisphere Project. It’s paid for by the U.S. Drug Enforcement Administration and the Office of National Drug Control Policy, and it allows investigators armed with subpoenas to quickly mine the company’s vast database to help track down drug traffickers or other suspects who switch cellphones to avoid detection. The details of the Hemisphere Project come amid a national debate about the federal government’s access to phone records, particularly the bulk collection of phone records for national security purposes. Hemisphere, however, takes a different approach from that of the National Security Agency, which maintains a database of call records handed over by phone companies as authorized by the USA Patriot Act. The federal government pays the salaries of four AT&T employees who work in three federal anti-drug offices around the country to expedite subpoena requests, an Obama administration official told the AP on Monday. The official spoke on the condition of anonymity because he or she was not authorized to discuss the program, and said that two of the AT&T employees are based at the High Intensity Drug Trafficking Area office in Atlanta, one at the HIDTA office in Houston, and one at the office in Los Angeles. The Hemisphere database includes records that date back to 1987, the official said, but typical narcotics investigations focus on records no older than 18 months. To keep the program secret, investigators who request searches of the database are instructed to “never refer to Hemisphere in any official document,” one of the slides noted. Agents are told that when they obtain information through a Hemisphere program subpoena, they should “wall off” the program by filing a duplicative subpoena directly to target’s phone company or by simply writing that the information was obtained through an AT&T subpoena. “While we cannot comment on any particular matter, we, like all other companies, must respond to valid subpoenas issued by law enforcement,” AT&T spokesman Mark Siegel said in an email. According to the slides, the program is useful for investigators trying to track down drug traffickers or other criminals who frequently change phones or use multiple phones. If agents become aware of a phone number previously used by a suspect, they can write an administrative subpoena, with no judicial oversight required, for records about that number. Hemisphere analysts can track the number’s call history or other characteristics and compare it to the history and characteristics of phones still in use — thus winnowing down a list of possible current phone numbers for the suspect, along with their location. “Hemisphere results can be returned via email within an hour of the subpoenaed request and include (call detail records) that are less than one hour old at the time of the search,” one slide said. Marc Rotenberg, executive director of the Electronic Privacy Information Center, said the program raises several privacy concerns, including that if a query returns call records that are similar to, but not, those of the suspect, agents could be reviewing call records of people who haven’t done anything wrong. A Washington state peace activist named Drew Hendricks provided the slides to the AP on Monday. He said he obtained them in response to a series of public records requests he filed with West Coast police agencies, initially seeking information about a law enforcement conference that had been held in Spokane. In the Northwest, the DEA and Department of Homeland Security make most of the Hemisphere requests through administrative subpoenas, one slide noted. Since late last year, AT&T has also accepted requests by court orders from local police agencies in Washington state. As of June, Hemisphere had processed 679 requests from the Northwest High Intensity Drug Trafficking Area. And since 2007, the Los Angeles Hemisphere program had processed more than 4,400 requests. In connection with the controversy over the NSA’s sweeping up of call records, some lawmakers have suggested that phone companies store the records instead, and allow federal agents or analysts to request specific data when necessary. “This way each query would require a specific government warrant before the FISA Court, and Americans would have more confidence that their privacy is being protected, while achieving the same national security results,” Rep. Adam Schiff, D-Calif., said in a July 31 statement. Verizon Agrees to Buy Wireless Stake From Vodafone for $130 Billion. Verizon will own its wireless business outright after agreeing to a $130 billion deal to buy the 45 percent stake of Verizon Wireless owned by British cellphone carrier Vodafone. The buyout, the second-largest acquisition deal on record, would give Vodafone PLC additional cash to pursue its expansion ambitions in Europe. It would also give Verizon Communications Inc., the opportunity to boost its quarterly earnings, as it would no longer have to share a portion of proceeds from the nation’s No. 1 wireless carrier with Vodafone. The deal isn’t expected to have much of an effect on Verizon consumers or on the company’s operations. Vodafone had little influence on Verizon Wireless’ day-to-day operations, and the two companies have kept out of each other’s territory. The Verizon-Vodafone partnership started in 2000, when what was then Bell Atlantic combined its East Coast wireless network with Vodafone’s operations on the West Coast. Vodafone had entered the U.S. market a year earlier by outbidding Bell Atlantic to buy AirTouch Communications Inc. of San Francisco. Verizon has had a long-standing interest in buying out its partner, but the two companies hadn’t agreed on a price until now. Analysts said Verizon wanted to pay around $100 billion for Vodafone’s stake, while reports suggested that Vodafone was pressing for the $130 billion. The largest deal on record is Vodafone’s $172 billion acquisition of Mannesmann AG in 2000, according to research firm Dealogic. Verizon’s buyout of Vodafone should be completed in the first quarter of 2014, the companies said. Vodafone is already one of the world’s largest cellphone companies and has its sights set on dominating media services in Europe, its biggest market. The company is making a takeover bid for Germany’s biggest cable operator, Kabel Deutschland. The deal comes amid a changing telecommunications landscape in the U.S. The wireless business has been lucrative for Verizon Communications as traditional landline services decline. But the company faces growing competition in a saturated market. No. 4 T-Mobile US Inc., for instance, is making a resurgence after shattering industry conventions, including two-year service contracts. In the April-to-June quarter, Verizon Wireless added 941,000 devices to its contract-based plans, exceeding analyst estimates and continuing a strong run. It boosted service revenue by 8.3 percent from a year ago. Its closest rival, AT&T, is seeing revenue increases of around 4 percent. But almost all of Verizon’s gains on the wireless side resulted from customers upgrading to higher-priced plans or adding more devices to their existing plans, rather than an influx of new customers. Meanwhile, No. 3 wireless company Sprint Corp. received a $21.6 billion investment from SoftBank Corp. in July, giving the Japanese investment firm a 78 percent stake. T-Mobile grew larger through a merger with smaller rival MetroPCS on April 30. Nigeria, First African Country to Ratify Arms Trade Treaty. Nigeria on Monday become the first African country to sign and ratify the Arms Trade Treaty (ATT), with Minister of Foreign Affairs Olugbenga Ashiru saying the event represents the country’s deep commitment to a treaty which establishes common international standards for the import, export and transfer of conventional arms. Also praising Nigeria’s initiative, Control Arms’ spokesperson Anna Macdonald noted how, throughout the negotiations on the ATT, Nigeria was a leader for the African continent. “We are proud of Nigeria’s leadership again today as Foreign Minister Olugbenga Ashiru simultaneously signs and ratifies this first ever global agreement regulating the transfer of arms and ammunition,” she said. Mr. Ashiru said Nigeria remained “resolute and unyielding” in her efforts to uphold the principle of ATT and, in particular, ensure that small arms and light weapons is appropriately transferred and access denied to terrorist groups, pirates, bandits and the like. Ms. Macdonald expressed the view that with over 80 countries’ signatures and several ratifications since the treaty opened for signature, there is momentum to urgently ensure the ATT becomes international law and starts saving lives. Fifty ratifications are needed for the treaty to enter into force, and she called on all states top get to work on their national legislation as soon as possible. The treaty was open for signature and ratification at the United Nations in New York on June 3, and on that day, over 65 countries signed the landmark treaty, the objective of which is the regulation of the multibillion-dollar global arms trade. FBI Pushing Tech Companies to Install Tracking Software. FBI officials have been pushing telecommunications providers to include technology inside their internal networks to further federal surveillance efforts, even threatening them with contempt of court, according to a CNET report. The FBI says the software, which intercepts metadata in real time, is authorized under the Patriot Act. The software is capable of analyzing entire communications streams, sources said, and carriers are being cautious about installing the equipment because of the risks of compromising privacy and security on internal networks. It’s “an interception device by definition,” an industry insider, speaking on condition of anonymity because court proceedings are sealed, CNET reported. Major providers, including AT&T, T-Mobile, Verizon, Comcast, and Sprint did not comment, and a source familiar with the software said it is not used industry wide. Ordinarily, law enforcement must get a judge’s warrant to search private Internet content. However, the law differs for metadata, including IP and e-mail addresses, Facebook identities, Web sites visited and even Internet searches because of a section of the Patriot act that authorizes the FBI to implant its surveillance technology on networks. Not all metadata is legally accessible through the software, though, as federal law says only dialing, routing, addressing, or signaling information is accessible without obtaining a wiretap. However, the FBI’s port reader can intercept all metadata, an industry source said, exceeding what the law allows. NSA Whistleblowers: Agency Casts Wide Net. An aerial view of the NSA’s Utah Data Center in Bluffdale, Utah. Binney, who worked at the NSA for almost 40 years, left the agency after the attacks of 9/11 because he objected to the expansion of its surveillance of U.S. citizens. British newspaper The Guardian late Wednesday released an order from the secret Foreign Intelligence Surveillance Court, requesting Verizon to give the NSA the details on every phone call on its landline and wireless networks on a daily basis between April 25 and July 19. Binney estimates that the NSA collects records on 3 billion calls per day. The NSA’s original charter was to eavesdrop on communications between countries, not inside the U.S. That expansion of its mission appears to have happened after 9/11, but the agency has continuously denied that it spies on domestic communications. Verizon, AT&T and T-Mobile USA, three of the largest phone companies, said they had no comment on the matter. A representative from Sprint did not respond to a message. Verizon’s general counsel emailed employees Thursday saying that the company has an obligation to obey court orders, but did not confirm the existence of an order. James Bamford, a journalist and author of several books on the NSA, said it’s very surprising to see that the agency tracks domestic calls, including local calls. In 2006, USA Today reported that the NSA was secretly collecting a database of domestic call information. However, some phone companies denied any involvement in such a program. Bamford’s assumption was that the uproar over a separate, post-9/11 warrantless wiretapping program and the departure of the Bush administration meant that the NSA had been reined in. Bamford believes the NSA collects the call records at a huge, newly built data center in Bluffdale, Utah. Under Obama FBI Now Captures Every Phone Call Made In the United States. 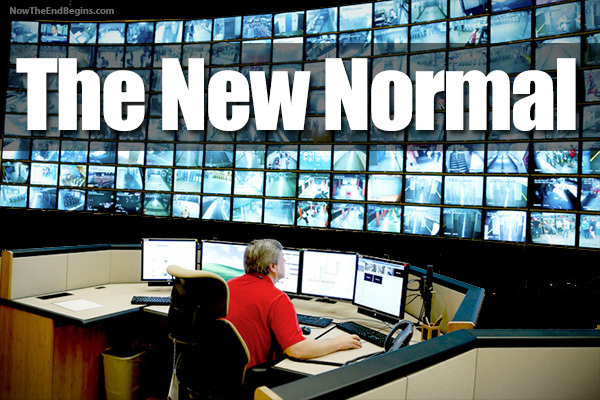 The real capabilities and behavior of the US surveillance state are almost entirely unknown to the American public because, like most things of significance done by the US government, it operates behind an impenetrable wall of secrecy. But a seemingly spontaneous admission this week by a former FBI counterterrorism agent provides a rather startling acknowledgment of just how vast and invasive these surveillance activities are. Over the past couple days, cable news tabloid shows such as CNN’s Out Front with Erin Burnett have been excitingly focused on the possible involvement in the Boston Marathon attack of Katherine Russell, the 24-year-old American widow of the deceased suspect, Tamerlan Tsarnaev. As part of their relentless stream of leaks uncritically disseminated by our Adversarial Press Corps, anonymous government officials are claiming that they are now focused on telephone calls between Russell and Tsarnaev that took place both before and after the attack to determine if she had prior knowledge of the plot or participated in any way. There have been some previous indications that this is true. Former AT&T engineer Mark Klein revealedthat AT&T and other telecoms had built a special network that allowed the National Security Agency full and unfettered access to data about the telephone calls and the content of email communications for all of their customers. Specifically, Klein explained “that the NSA set up a system that vacuumed up Internet and phone-call data from ordinary Americans with the cooperation of AT&T” and that “contrary to the government’s depiction of its surveillance program as aimed at overseas terrorists . . . much of the data sent through AT&T to the NSA was purely domestic.” But his amazing revelations were mostly ignored and, when Congress retroactively immunized the nation’s telecom giants for their participation in the illegal Bush spying programs, Klein’s claims (by design) were prevented from being adjudicated in court. Despite the extreme secrecy behind which these surveillance programs operate, there have beenperiodic reports of serious abuse. Two Democratic Senators, Ron Wyden and Mark Udall, have beenwarning for years that Americans would be “stunned” to learn what the US government is doing in terms of secret surveillance. Strangely, back in 2002 – when hysteria over the 9/11 attacks (and thus acquiescence to government power) was at its peak – the Pentagon’s attempt to implement what it called the “Total Information Awareness” program (TIA) sparked so much public controversy that it had to be official scrapped. But it has been incrementally re-instituted – without the creepy (though honest) name and all-seeing-eye logo – with little controversy or even notice. That no human communications can be allowed to take place without the scrutinizing eye of the US government is indeed the animating principle of the US Surveillance State. Still, this revelation, made in passing on CNN, that every single telephone call made by and among Americans is recorded and stored is something which most people undoubtedly do not know, even if the small group of people who focus on surveillance issues believed it to be true (clearly, both Burnett and Costello were shocked to hear this). Some new polling suggests that Americans, even after the Boston attack, are growing increasingly concerned about erosions of civil liberties in the name of Terrorism. Even those people who claim it does not matter instinctively understand the value of personal privacy: they put locks on their bedroom doors and vigilantly safeguard their email passwords. That’s why the US government so desperately maintains a wall of secrecy around their surveillance capabilities: because they fear that people will find their behavior unacceptably intrusive and threatening, as they did even back in 2002 when John Poindexter’s TIA was unveiled.